Founded in 2011, PT. Medianusa Permana is an Internet Service Provider in Indonesia. The company offers a total integrated solution service to meet your needs for Internet connection and development of communication networks in order to become a more comprehensive and integrated company. We can provide efficient, effective, accurate and fast communication solutions over the network and the infrastructure that has been available. Lead by a team of experienced and entrepreneurial manager who are dedicated and committed to bring the company and business model to success in Information & Communication Technology (ICT) and Telecommunication Business. MEDIANUSA has a company value that create a culture and an environment in which all hard work is done with passion. These values guide the behavior, decision-making, and framework building for daily interactions amongst the team MEDIANUSA’s team. It also recognizes that the quality, reputation, consistent performance and satisfaction within its products will be the measure and the vehicle for the company’s success. The company believes that these values will bring a competitive advantage that allows MEDIANUSA to discover, develop, and deliver the solution to its clients. Orange Room is a fast-growing and formidable organization headquartered in Singapore, specializing in organising professional sporting events. Our strong network of partners and sponsors, best-in-class event management systems and crews, and endorsements from top athletes enable us to develop and execute dynamic event concepts, delivering world-class events in Asia. 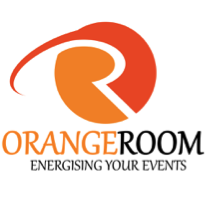 A private limited event management company formed in 2002 by athletes with more than 20 years of experience in the competitive sporting event field, Orange Room has successfully organized numerous events ranging from private functions, corporate affairs, to nation-wide events. Orange Room is the regional rights holder to global concept events such as Blacklight Run, Foam Glow Run, and Bubble Run. Our homegrown TRI-Factor Series has become one of the most successful sporting series in Asia, expanding into Thailand, Malaysia, China, and the Philippines.